Americans often view police violence and related issues of structural racism as if they were unique to the United States, when in fact these challenges are common globally. Making these global connections can help us learn something valuable about our own society – about the shared histories that give rise to distinctive forms of race relations, about transnational processes shaping race relations, law enforcement, and so on. Situating these issues in a global context can also help to defuse what are often tense debates by providing us with valuable critical distance on our own politics and society: it’s often easier to make sense of a situation about which we are relatively dispassionate than it is to make sense of one in which we are deeply invested. Notwithstanding these benefits, drawing transnational connections can itself be profoundly unsettling, forcing us to confront troubling issues such as colonialism, genocide, and white privilege. The Global Studies Center believes that there is a great opportunity to continue and enrich conversations on diversity and inclusion by situating these issues within their wider global and historical context. Doing so will provide a literal and metaphorical space for discussion of issues important to all of us and create a unique opportunity to experience diversity through consideration of multiple perspectives on a prominent – and still present – moment in recent American history. 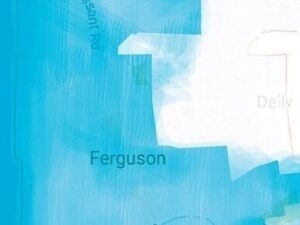 By speaking to the global context in which the events in Ferguson, MO unfolded, GSC and its partners will enable students, faculty, and staff to consider these events in new ways that may contribute to a deeper understanding of the events themselves and the broader processes of which they are apart. Wednesday, February 13 at 4:30 p.m. to 6:00 p.m.